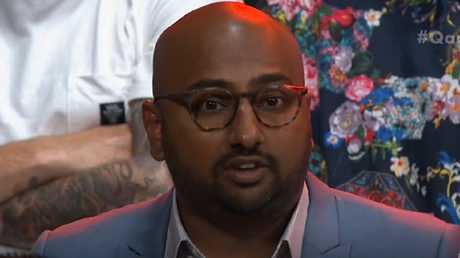 Red Rock Christian College deputy principal Kevin Muslayah appeared on the ABC's Q&A program from the audience on Monday night to discuss the proposed removal of existing laws which allow "faith-based schools" to hire and fire staff dependent on their sexual preferences. Mr Muslayah said it was "certainly an issue" that religious schools could be disempowered in this way. 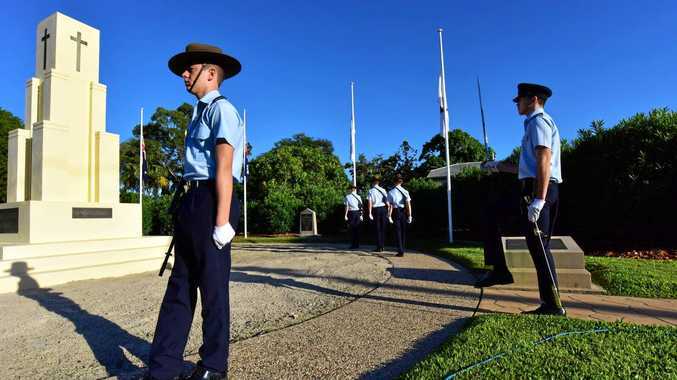 "I grow increasingly concerned that schools like mine will one day lose its ability to preference staff that align with, and are committed to promoting, the values and faith-based position within our school community, under provisions of current anti-discrimination legislation," Mr Muslayah said. Mr Muslayah said if he found out a staff member teaching the school's religious doctrine was gay, they would be sacked on a "case-by-case" basis, while the law permits. "And despite public criticism around that, the very preface that we are a Christian school, there is a particular alignment of values," he said. "When that comes into question we have to ask the thing: how is that having an impact on that value base and how we promote that?" 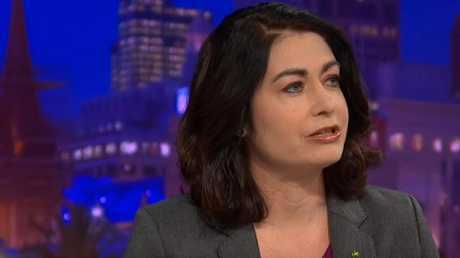 Queensland Labor MP Terri Butler wasn't having a bar of it. "Aren't your values love thy neighbour?" she asked Mr Muslayah of his Christian faith. "Why would you discriminate on sexual identity? "A gay teacher doesn't teach gay maths. They just teach maths." Red Rock Christian College deputy principal Kevin Muslayah in the audience of the ABC’s Q&A. "They are important issues, but the issues we need to address right here and now relate to the children and ensuring we protect them against discrimination," he told Parliament on Monday. "There are many other issues that will be addressed as a result of the religious freedoms review, and there will be a time and a place to address those issues." Monday night’s Q&A panel on the ABC. "I don't think there's any room for discrimination, be it a student or against a teacher," he told the ABC. "I do think we need to ensure that there is no discrimination in either our workplaces or in our schools." Liberal candidate for Wentworth Dave Sharma, who is facing a crucial by-election on Saturday, said schools should "absolutely not" have the right to discriminate against gay teachers. "By all means let's protect people against discrimination," he said. "But let's be very careful that anti-discrimination laws designed as shields are not converted by activists into swords," he said. An Australian Christian Lobby spokesperson said freedom of religion required church bodies and organisations to "be able to select members who share their faith or ethos". 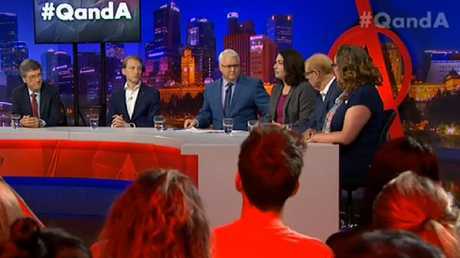 Queensland Labor MP Terri Butler on the ABC’s Q&A panel.